Photo retouching within the magazine industry is an interesting albeit controversial topic. For as long as the technology has been available, the industry has utilized it to make their models look "perfect"-no wrinkles, excess bulge, a perfect complexion, etc. For us normal people that means looking at unattainable standards of beauty. Beauty as projected and determined by the media industry. Unfortunately for those not in tune with these practices, these images are being fed to make them believe that these anatomically impossible figures and flawless faces really are the level of perfection necessary to attain ultimate beauty. At the same time, basic touch-ups are a standard practice and can be a straightforward method of enhancing what makeup already does: covering up blemishes, dark circles, evening out skin tone. I don't see anything wrong with that because let's be honest magazines want to sell and project an image of someone on their absolute best day. Stepping in front of a camera without cover up and good lightening is just criminal. No one is going to buy a magazine with the actual reality of a tired model with blood shot eyes and baggy circles from the back to back red eye flights and lack of sleep. I'm all for making someone look like they've had a good night's sleep. Unfortunately, the reality is that basic touch-ups are the least of it. Whittling down major appendages are more the standard practice these days. There have been some pretty absurd Photoshop disasters which have really just shown how crazy and far the industry will go to have their subjects (celebrity and models alike) look a certain weight and way. 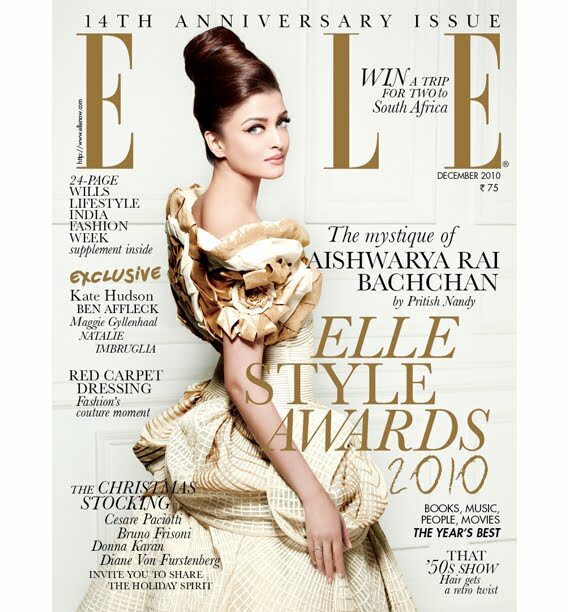 Most recently, Indian Elle has come under fire for their liberal/questionable use of Photoshop on cover model and Indian superstar Aishwarya Rai Bachan. The gorgeous, already fair-skinned actress appeared several (noticeable) shades lighter than her normal skin tone in their latest issue. AKA-The light brown-skinned beauty suddenly looked white-Snow White-white! The Times of India is reporting that the former Miss World is apparently furious at how the images turned out. A source says the actress was in disbelief, believing things like this don't happen anymore. Adding, " Not in this day and age when women are recognized for their merit, and not for the colour of their skin. She is currently verifying this skin-whitening allegation. If there is any proof of this, she might even take action." Fans of the mag. were livid when they saw the digitally altered cover and posted angry messages online. According to the Times, readers felt her complexion had been lightened by the magazine to appease Caucasian standards of beauty. In response the magazine claimed they did not whiten her skin any more than any of the other models photographed in the issue. Hmm.. so they did whiten her skin. Another source says Rai is clearly the global face of contemporary Indian women. The last thing she'd want is to have a global image colored by a racial suggestion. Commercials and ads regularly show images of fair-skinned women in the India media. They project this complexion as being the beauty ideal to the Indian public, despite very few people (in a population of 1 billion) actually looking like this. Perhaps this controversial doctored image of one of India's most beloved iconic stars will show the negative impact and response digitally altering images actually has on the media's target audience. What do you think about this kind of retouching? Do you agree her skin tone seems digitally altered and lightened? 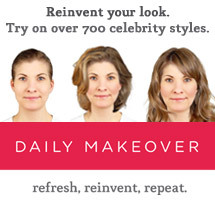 Would you like to see non-airbrushed images from now on? I understand where they are coming from. They are upset that she no longer looks Indian and that is where their pride lies... or changing her color is saying that her color is less than perfect.